People who are involved in drug use do so to experience a high, but the long term effects of heroin can cause serious health consequences. Heroin is a highly addictive drug that produces a feeling of euphoria when ingested, followed by deep relaxation and drowsiness. This drug also affects the pleasure centers in the brain, and this makes it difficult for people to feel good without it. A person who has been using heroin for an extended amount of time is at increased risk for a number of heath issues. Not all heroin users inject the drug (it can also be smoked or snorted), but people who do so are at increased risk of contracting Hepatitis B or C from sharing needles. Hep B is a virus that is transmitted through shared bodily fluids and causes inflammation of the liver, vomiting and jaundice. Hep C is a chronic disease that can lead to cirrhosis of the liver or liver cancer. Sharing needles puts heroin users at a high level of risk of being exposed to HIV which can develop into AIDS (Acquired Immune Deficiency Syndrome). Long term heroin use is one of the risk factors for heart disease. This drug can cause an infection in the lining of the heart or its valves, and this interferes with the normal functioning of this organ and may lead to heart failure. Heroin addicts are also at a higher level of risk for heart disease or stroke. These symptoms could be mistaken for the drowsiness and lack of interest in food that is part of heroin use. As the disorder progresses, it can cause decreased mental function and coma. Heroin use affects lung function by depressing the person's respiratory system. Long-term use also affects the user's immune system. This combination of factors means that heroin addicts are at a higher risk of contracting pneumonia and tuberculosis (a bacterial infection of the lungs). 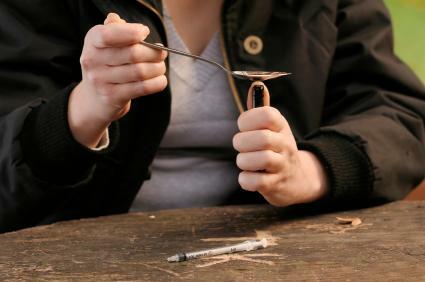 A person who is a long-term heroin user may also develop difficulties thinking clearly and being able to hold a thought, and this leads to learning issues. Heroin addicts will find it nearly impossible to hold down a job. Having to get money to continuously feed their habit means they are at high risk to turn to crime to finance it. Personal relationships also suffer when heroin enters the picture. The addict isn't able to provide the give-and-take that is part of a normal relationship. The person using heroin has difficulty appreciating the consequences of what he or she is doing, and friends and family members become angry and frustrated as a result. A person may begin using this drug out of curiosity or as a way to escape something negative in his or her life, but over the long term, the consequences don't add anything positive to the user's life.